For many years, we have kept a running log of financial panics, scandals, and failures. We have updated the list several times each year with new incidents, or with significant historic events. Suggestions for historic additions are welcome, particularly for major historic incidents or events in Asia, Australia/Oceania, South America, or Africa. The following link is to the latest update. Edward Guay is the principal of Wintonbury Risk Management, a political, economic, investment, and business risk consultancy. Guay served previously as the Chief Economist of CIGNA Corporation and as Senior Managing Director of CIGNA Investment Management. During a 30-year career with Connecticut General Corporation and with CIGNA, Guay held a variety of financial industry research, economics, and investment strategy positions, rising to Chief Economist in 1977 and to Senior Managing Director in 1983. He was a member of the Investment Policy Committee, and served as a consultant to company affiliates and clients. He also served as an economic, strategic, or national security advisor to congressional leaders, government officials, and international leaders. Guay retired from CIGNA in 1998, and organized Wintonbury Risk Management the same year. Mr. Guay is a global macro strategist. He has a long history of accurately predicting major shifts in business, financial, and political conditions. He specializes in the identification of those forces for change that will shape future events, either gradually or in climactic fashion, causing consensus business, investment, political, or geopolitical strategies to go awry. His value is in helping clients reduce risks and prepare for the opportunities generated by predicted change. Mr. Guay received a Bachelor of Science degree in International Relations from the School of Foreign Service at Georgetown University. He served as an officer in the Army Intelligence Command, and then received an MBA degree from the Graduate School of Business at the University of Pittsburgh. Mr. Guay is a frequent speaker on current economic and political issues, demographics, investment topics across all asset classes, international developments, national security issues, and on future risks and opportunities. 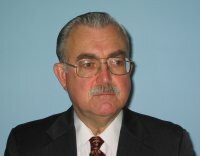 He serves as a consultant to individuals, to companies, and to government officials in the United States and elsewhere. He is a member and past president of the Conference of Business Economists, a member of the Hartford CFA Society, and of the National Association for Business Economics. He is an advisor to the board of ORIX USA Corporation, a global financial services firm. He is also a director of the World Affairs Council of Connecticut and a member of the Investment Subcommittee of Hartford Healthcare.